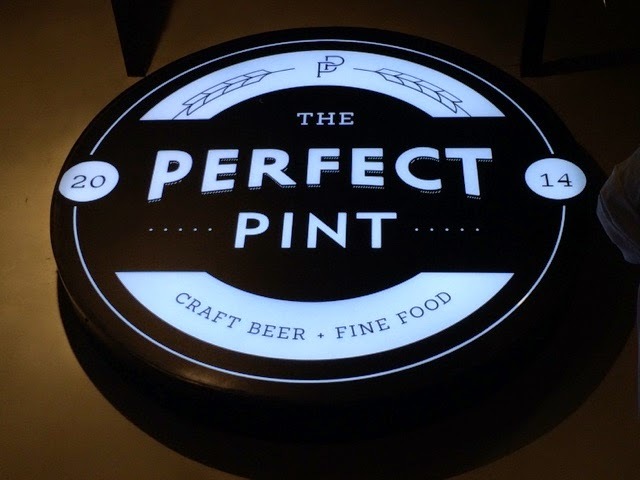 We visited "The Perfect Pint" over at 32nd Street in BGC. 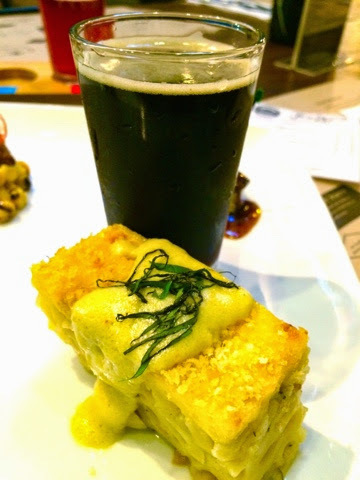 They are currently offering "The Perfect Match" which speaks of their warm delectable comfort food and the corresponding in house designer brewed beer that they think would perfectly go with it. It's not my first time trying out dishes with beer but I tried San Miguel Lifestyle Brews which is more on the commercial side. These are pretty good ideas and they gave us a sampler so we could get an idea on how both the Chefs and brewers would want their products taken in, literally that is. The sampler costs around 600 bucks which for me is a little pricey. If this were around 450++ range it would have been worth it. I think they are paying much of it to their space because this is after all still in BGC. Other than that, maybe because of the fact that it is artisanal in some way as these are designer brews. 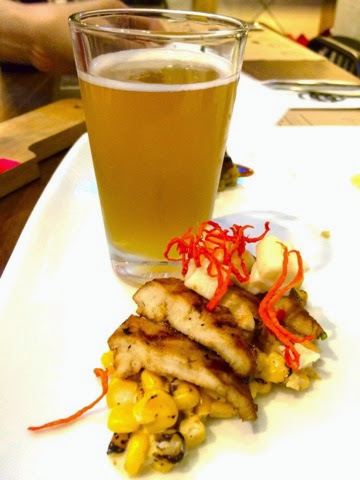 For the first pairing, they got us Blackened Chicken Breasts with Charred Cuban Corn Salsa and a Sierra Madre Wheat Ale brewed by Francis Oñate. I super loved the corn salsa as it had a spicy kick on it. Pairing it with a light ale made the flavor pop out more on the palate. 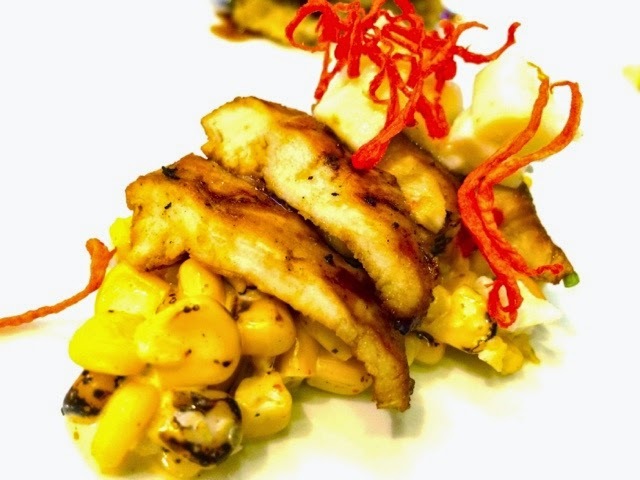 I know it was just corn but I enjoyed it much with the soft grilled chicken which was like a good canvas for flavor coming from its marinade. This was my favorite pairing that evening. The Fish Ryder Pale Ale made also by Francis Oñate was a tad darker but it still felt light to the taste. 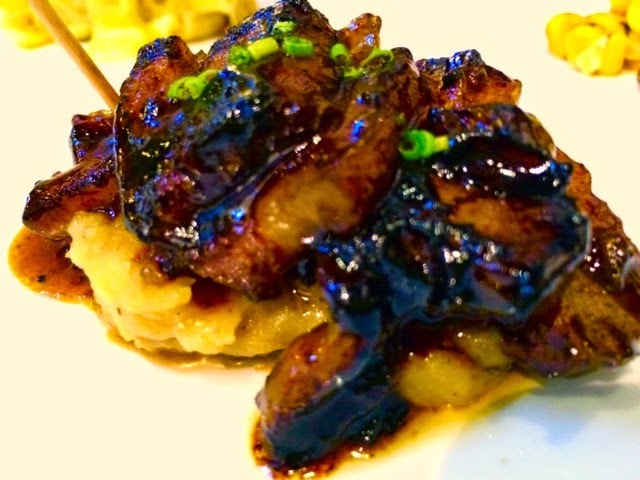 The Glazed Pork Belly with Apple Onion Potato Mash was intensely flavored, a combination of sweet and savory. The accompanying beer just well complemented it and didn't make the whole thing contradict each other. That was good. 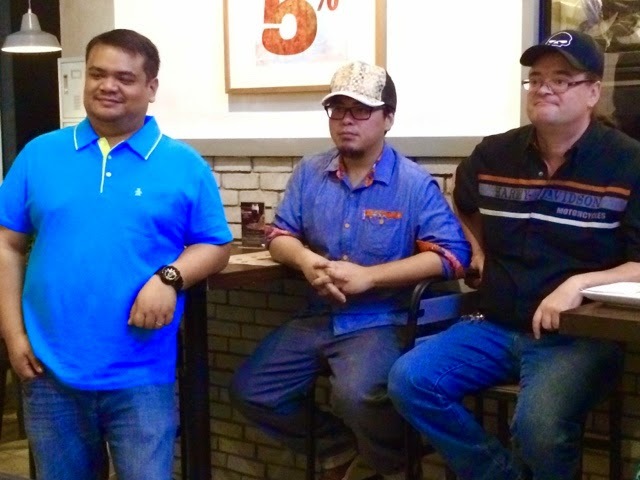 The third pairing had us try Katipunan No. 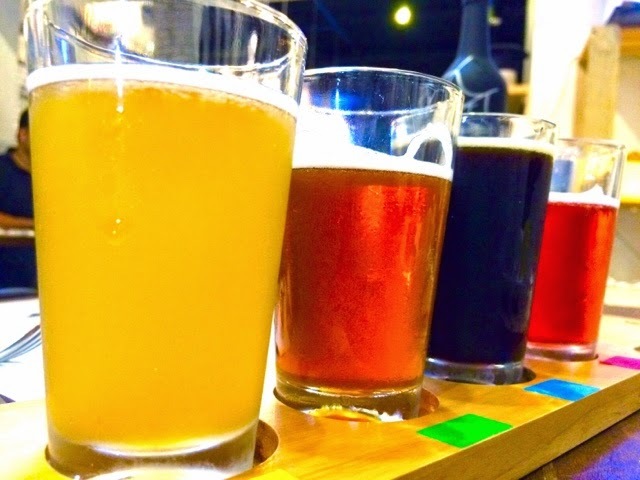 1 Stout by Kiyo Miura. 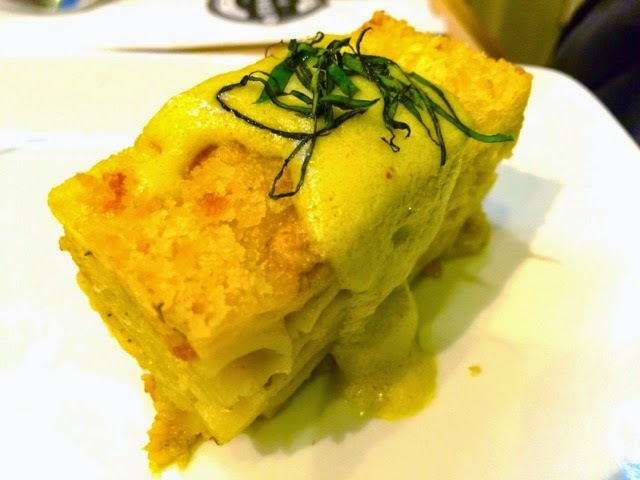 Served with the yummy Mac and Bleu Cheese that had strong and sharp cheesy flavors, it was really good. The intensity from the food and beer was somewhat equal so you know you are getting the best of both worlds. They also have us try the same beer with their special dessert called Smores. 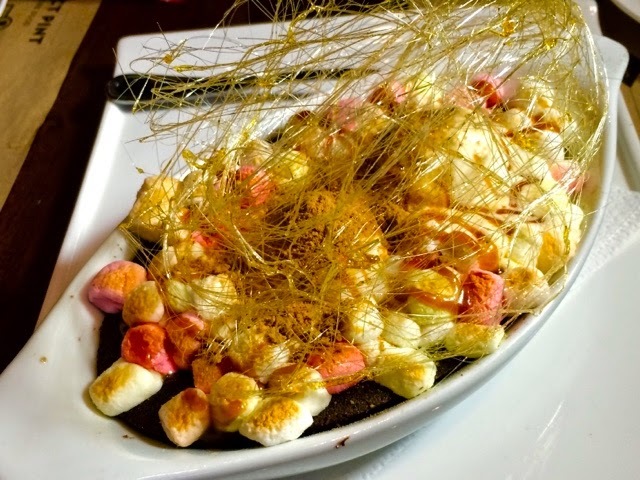 It's got a chocolate brownie cake base with fluffy marshmallows that are charred, a scoop of Vanilla Ice Cream and a caramely candy floss on top. 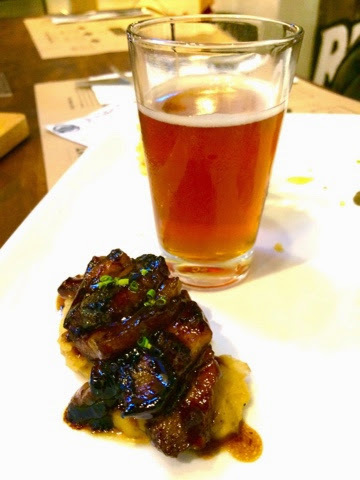 The well crafted beer was also good with it, pairing wise... That tasted really well. 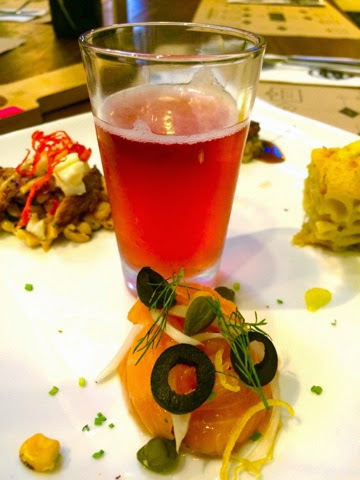 The last one was Salmon Gravad Lax and G Point Red Head Ale. 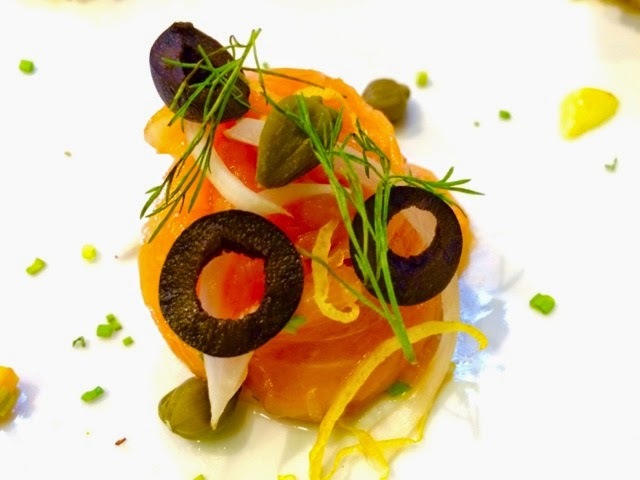 I liked the salmon and the hint of saltiness from the olives and capers but the beer pairing wasn't as good as I thought it would be. The G Point Red Head Ale wasn't complementing the fish much, it just masked the fishiness by having itself bitter. I don't like the pairing to tell you honestly but I guess it stems from the Filipino preference for something sweet and smoother when it comes to beers. The bitter notes on this might be a bit harsh with most of us who find it the least appreciated one out of the four. I bet foreigners would get to love this even more as it might prove to be closer to home for them. A series of these pairings will happen in the next few weeks. From October 27-30 they will have a band of brew masters, on November 3-6 they'll have Food Writers like Ms. Nana Ozeta from FOOD Magazine, Ms. Nina Daza-Puyat of Appetite Magazine, Ms. Marilen Fontanilla of F&B World Magazine and Ms. Marie Pascual of again, Appetite Magazine. From November 10-13 there will be Chef's Specials by Chef Peachy Cebrero, Chef Bob and Nina Abes. And Chef Waya Araos Wijanco. 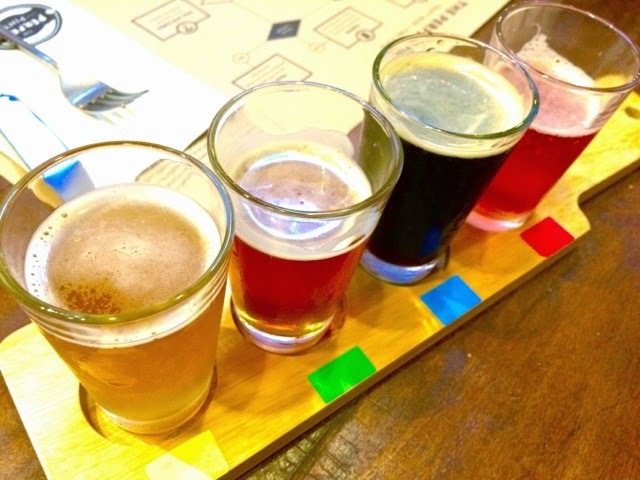 For those who would like to experience it, come visit The Perfect Pint at the Crossroads Building 32nd street in BGC. It's quite near Home Depot, Skinny Mike's and Starbucks so you wouldn't miss it. Beer lovers rejoice! You've got a spot worthy of your time and good pub food, find your perfect pint here!